Elderly cats will sometimes take to sleeping in the litter box during their final weeks and days before death. If your cat is sleeping in the litter box, she has a problem. 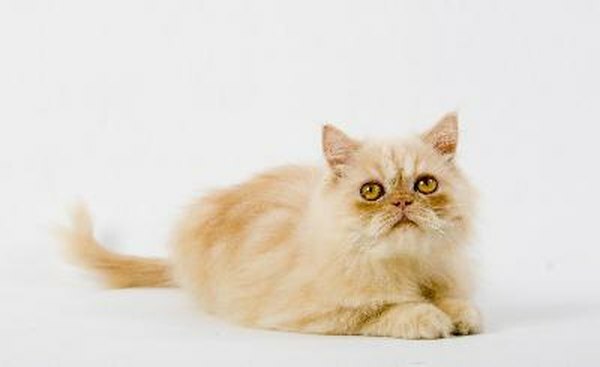 Your cat has a health or emotional issue, or a need that is not being met. It's time for a trip to the veterinarian and to examine your cat's environment to identify the cause of this behavior. Anytime a cat is spending more than the usual amount of time in the litter box, illness is likely. This includes sleeping in the litter box. Make your cat an appointment with the veterinarian. Illnesses that might cause this behavior include urinary tract and bladder infections, and stones or crystals in the kidneys or urinary tract. 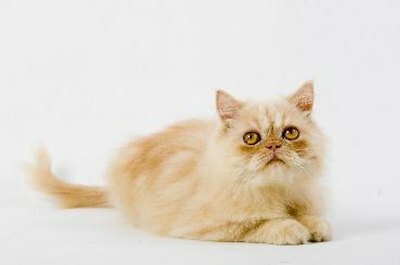 Some of these conditions can be life-threatening, so if you suspect one of these may be the cause of your cat's behavior, take him to a veterinarian as soon as possible. In animal shelters you can often see cats sleeping in their litter boxes. This is because the cat has nowhere else to hide and he feels threatened. Consider whether your cat has reason to feel anxious. Are there children, dogs or other cats in the home that threaten him or chase him? Does he have a safe place to escape from the family if he wants to be alone? Providing him with something as simple as a cardboard box with a blanket in the bottom can solve the problem. Place the box in a quiet, safe place. If yours is a multi-cat home, consider whether one cat is "guarding" the litter box from the others. It may be the cat sleeping in the litter box who is playing "guard" or it may be the cat that has been prevented from accessing the litter box taking to sleeping in it. In multi-cat families, guarding of the litter box is often a problem. One cat will decide that he is not going to let the other cats access the box. Not only can this lead to cats sleeping in the litter box, it can lead to cats avoiding the litter box and eliminating in inappropriate places. The solution to this problem is to add litter boxes. Place them in different rooms or even on different levels of your house. The general rule is that you should have one more litter box than you do cats. So, for example, if you have four cats, you should have five litter boxes. Is your cat female? Has she been spayed? If not, it's possible she is pregnant and close to delivery. If a birthing box is not provided in a place where a cat feels safe, she sometimes chooses her litter box as the place to have her babies. If you think your cat may be pregnant, provide her with a box that she can easily access and line it with old sheets or blankets for bedding. Make sure her litter box, food and water are easily accessible from the box; once the kittens are born, she won't stray far from them for the first few weeks. For the Love of Cats: Why Do Cats Sleep in Their Litter Boxes? Do Male Cats Secrete a Smell? What Is the Meaning of a Cat Sleeping on Top of Your Pillow? What Does It Mean When Cats Scratch the Floor Next to Their Food Bowl? Why Would a Cat Eat Its Cat Litter?